Hostmysite.com :: How do I add a contact to my contact list? How do I add a contact to my contact list? The following article explains how to add a contact to your contact list. 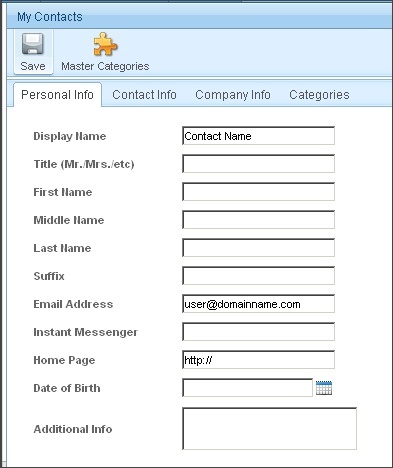 SmarterMail provides two methods for adding a new contact. The first method is manually adding the contact. The second method is selecting the contact from an email message that has been received. From the left side bar, expand Contacts and click New Contact. 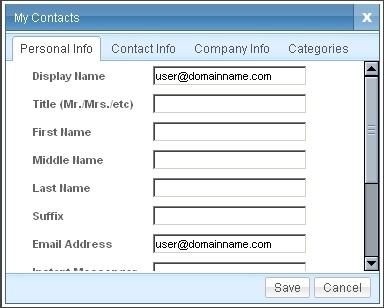 The remaining information on the My Contacts screen is not required and can be entered at your leisure. For detailed information about each option, you can view the SmarterMail support documentation by clicking on the Help menu in the upper right corner of the SmarterMail Interface. Click the email message containing the email address you wish to add. Click the Add Contact icon next to the email address. Update the contact information, if necessary.